Several of the 2017-19 NABJ Board of Directors and Executive Director Sharon Toomer at NABJ headquarters. WASHINGTON, D.C. (Oct. 27, 2017) -- In a historic move, members of the National Association of Black Journalists (NABJ) elected NBC Owned Television Station's Sarah Glover to a second term as president in August during its annual convention in New Orleans, Louisiana. Elections Chair John Yearwood presented the certified elections results at the NABJ board meeting last weekend. Glover is the first "NABJ Baby" (Student Projects '95) to be elected president and now the first president to serve two terms. "I'm humbled and honored to serve our beloved NABJ for two more years. I'm grateful for the support so many have shown the NABJ and the board under my tutelage," said Glover. "I'm excited to continue my leadership. It's a chance to help bolster NABJ to new heights and continue our transformation into a more sustainable association. I'm hyped. I've got my sleeves rolled up and I'm fast at work. Thank you for believing in me." Glover is dedicating her second term of service to all 44 NABJ founders and the late Michael J. Feeney, former New York chapter president. Feeney, her mentee, she believes would have been a notable NABJ president had he not died suddenly in 2016. NABJ Founder and Past President Dewayne Wickham applauded the election results. "Sarah has shown strong, visionary leadership," he said. 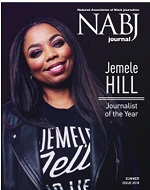 "I am very proud of the steps she has taken to ensure NABJ's future. Not only is she an exceptional journalist, excelling in the workplace; Sarah understands the industry and is raising the bar not only with NABJ." Touting zero-based budgeting, Glover said her first two years as president were spent erasing a two-year, six-figure deficit and providing accountability, while also laying the groundwork for innovative and industry-challenging programming. Both NABJ conventions in 2016 and 2017 set attendance records for the association. Glover founded the NABJ Black Male Media Project, which launched nationwide thanks to the dynamic activation and collaboration of 21 NABJ chapters, all of whom hosted concurrent programming on June 10, 2017. Other notable accomplishments in her first term include: development and implementation of the NABJ Strategic Plan 2017-2020; eradicated deficit spending; led the board in its quest to expand NABJ investments with a $500,000 allocation; and co-founded the Poynter-NABJ Digital Leadership Academy. Her primary goals for her second term are to obtain a seven-figure, multi-year grant for NABJ, develop a new website and mobile app, expand the national office staff, further results-driven media advocacy and create a multifunctional jobs program. A past two-term president of the Philadelphia Association of Black Journalists (PABJ) and former Chairwoman of the NABJ Council of Presidents; the organizing body of all presidents of chapter affiliates within the association, Glover is a five-term national board member. Always on the move, working for NABJ from her laptop and oftentimes on the train, she resides outside of Philadelphia and is based at 30 Rock in New York City, where she works on the NBCOTS national digital team, providing social strategy and coverage for NBC's 12 owned TV stations. She earned a dual bachelor's degree in Photojournalism and African American Studies from Syracuse University in 1996 and a master's in Communication Studies from Edinboro University of Pennsylvania in 2007. Former NABJ board member Cheryl Smith, a newspaper publisher-editor based in Dallas, Texas, was elected secretary and Dorothy Tucker, a reporter for CBS Chicago, was re-elected Vice President-Broadcast at the annual convention. Tucker earned a bachelor's in Radio, Television and Film from the Medill School of Journalism, Media, Integrated Marketing Communications at Northwestern University in 1977. Born and raised in Chicago, Tucker has been on-air at the same station for more than three decades -- a standout accomplishment in local television. A native of Newark, New Jersey, Smith earned a bachelor's in Journalism from Florida A&M University in 1980 and a master's in Human Relations and Business from Amberton University in Dallas, Texas in 1986. Smith's journalism fellowships have focused on health disparities, obesity and technology. An award-winning reporter with the distinction of having won the National Newspaper Publishers Association's coveted Messenger Award three times, Smith currently publishes Texas Metro News, I Messenger and Garland Journal. Additionally, Johann Calhoun was re-elected Region I Director, Ken Lemon and Kyra E. Azore were elected Region III Director and student representative respectively. All will serve a two-year term on the board. Calhoun is News and Special Projects Editor for The Philadelphia Tribune and an adjunct instructor at Temple University. He received a bachelor's degree in Mass Communications (Print) from Southern University in Baton Rouge, Louisiana in 2001 and a Graduate Certificate in Communications from the University of Pennsylvania in 2007. Lemon is a reporter for WSOC-TV and an instructor for Carolina School of Broadcasting. A graduate of the University of North Carolina - Wilmington in 1992, he is a trained conflict resolution mediator and certified IRE watchdog reporter. Azore, a junior broadcast journalism major with a Spanish minor, is currently studying at Howard University in Washington, D.C. There was no candidate for the Vice President-Digital position. Region IV Director Marcus Vanderberg resigned for personal reasons, therefore, both positions were vacant. Glover has appointed Terry Collins, a senior reporter at CNET based in Oakland, to the Region IV Director position and the Vice President-Digital position is to be announced. Returning NABJ board members include: Vice President-Print Marlon Walker, Treasurer Greg Morrison, Region II Director Vickie Thomas, Media-Related Representative Tanzi West Barbour and Academic Representative Michelle Johnson. 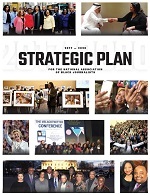 An advocacy group established in 1975 in Washington, D.C., NABJ is the largest organization for journalists of color in the nation, and provides career development as well as educational and other support to its members worldwide. For additional information, please visit, www.nabj.org.